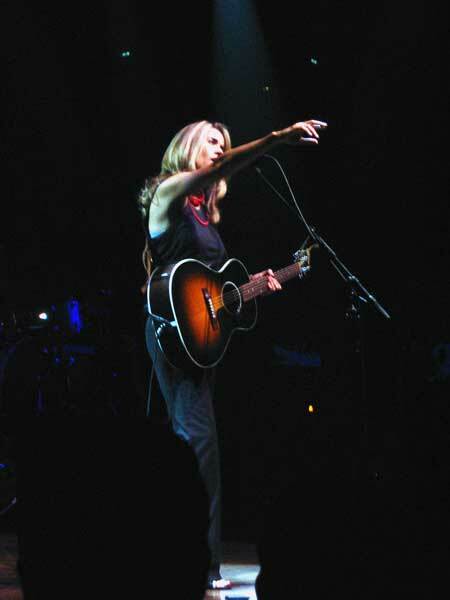 Perry uploaded eighty-nine pictures from Heather's performance at the Bush Empire in London on September 30, 2005. Anthony Snell has taken the photos. Thank you very much Perry & Anthony for sharing these beautiful pictures with us . 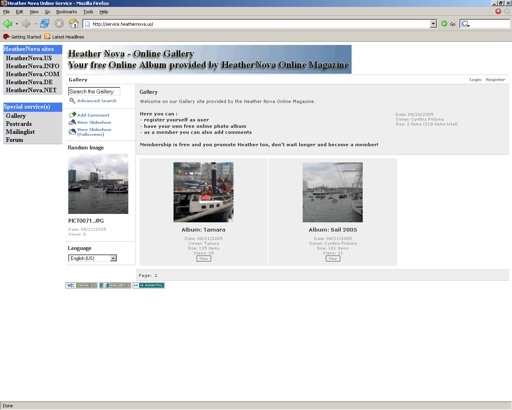 . .
Go to the section "Articles, Heather at Shepherd's Bush" to see the pictures. Heather will do a gig in Antwerpen on October 24 at the Koningin Elizabethzaal and that is good news for the people in Belgium but did you know that Heather also was on Belgium television? My mother could do a recording from this short event while Heather was on the news in Belgium and my mother told me about the recording and I decided to put it on our site to share it with you. Thanks again mom for capturing this on video. You can check it out under the section "Highlights, Heather in the news" and choose between 'low, medium and high quality', but you need the latest version of the QuickTime player to see the video (because I convert the video into MPG4 quality). New photos availible from the Utrecht gig! You all knows that Mike shared some photos from the gig at the Vredenburd in Utrecht with us, right? Well... Mike did send me an email last week with some new photos from the gig that he wanted to share with us. Mike took some awesome photos from Heather and her band during Heahter's performance at the Vredenburg in Utrecht, the Netherlands, on October 4, 2005. Go to "Articles, Heather at the Vredenburg" to see the photos that Mike Smith took! All pictures are provided by Mike Smith Thank you verry much for your contribution Mike! I have seen Heather live on stage twice this year. 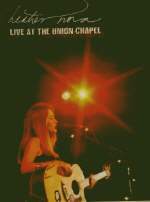 First I have seen her performance in London, which was brilliant and than I saw her on stage again in my own country, the Netherlands. 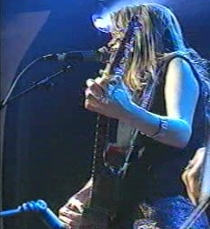 This time playing at the Vredenburg in Utrecht, which was completely sold-out. 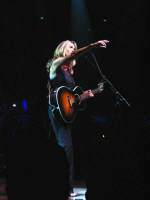 I have to admit that I compared Heather’s brilliant performance in London with the one in Utrecht and though there was no Nadia as a support act, still she was at her best in Utrecht. When Heather hits the stage, everyone starts to enjoy the sound of the Siren. Heather looked beautiful as always on the stage and she kicked off with Storm, like she also did in London and again it gave me the goose-bumps. I guess that it has something to do with the hurricanes that hit the states last month why Heather’s song Storm gave me the goose-bumps, and the song in combination with Heather’s voice is a pleasure to hear. 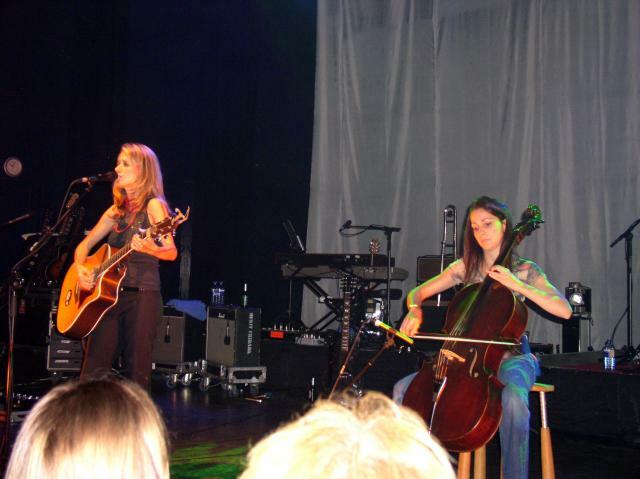 After the Storm song, the band members came on stage, with Berit on guitar, Laurie on drums, Matt on bass and Simon. The same lineup as the London gig. With the band, Heather played Hearth and Shoulder, Motherland, Redbird, Just been Born and the audience clapped in their hands on the first notes of Walk this World on the same rhythm as Laurie did on the drums. After Heather’s explanation she started with the song, I miss the Sky. After this beautiful song followed All I Need, The sun will always Rise and Someone New. Than Heather said something about a sad letter, she received from a girl named Christen - or someone close to that name that I cannot recall right now and she played Walking Higher. The next songs where I wanna be your Light, London Rain, Winterblue, Done Drifting, Make you Mine. After the first break she did Welcome & Island. After the 2nd break Heather was facing the crowd alone with her acoustic guitar and she played Everytime (she managed to do the whistle by herself). 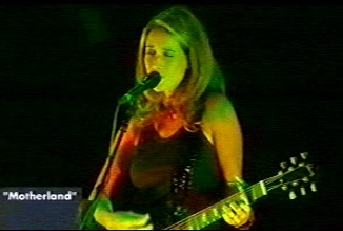 Heather gave a concert on August 20 at the Pukkelpop festival in Belgium and Bernd Wenisch from HeatherNova-info.COM created a video impression from this event. 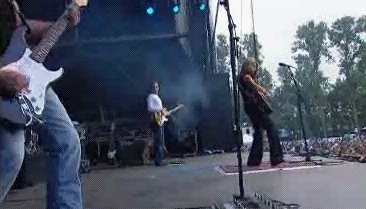 With thanks to Bernd you are able to see Heather live at the Pukkelpop festival. Go to the section "Multimedia, Videoclips, Pukkelpop" to see the video clip. P.S. you will need the QuickTime Player to see the video. 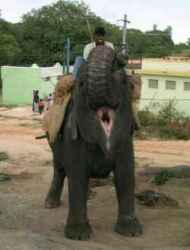 Subject: Bring the elephant home! I would like to stress out Heather's involvement with the Bring the elephant home campaign. Please take a look at these two links to learn about the project and Heather's involvment. Antoinette and her crew will have this big party/auction in Blijburg aan Zee on September 3rd, which will help raise money for the project. On that day they will auction the items donated by Heather, so I hope that many fans from the area will decide to go there and support the project. Do you want to read letters from the past? Than go to the section "Mail, Letters and comments"
Sharing your photos online with family & friends and supporting Heather too? We make it possible and it is all free for you to use! I installed an open source software program known as Gallery 2. It supports more than twenty languages and creating an online photo album is easy. Don't wait, register yourself free and share your photos’ online. Via the service I installed you can also jump to the five major Heather Nova sites too! Go to http://service.heathernova.us and check it out yourself. "Redbird" will also be downloadable through the iTunes Music Store. Check your local iTunes for availability! We had a column titled "Spam" and decided to replace the column with "World travel stories". 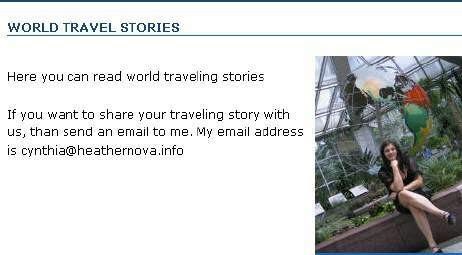 Go to the section "World travel stories" to read the travel stories. Now in the picture "Frankfurt am Main"
New members for our mailing list. You are all more than welcome! To see the video, River Of Life, you have to go to the section "Multimedia, Videoclips, complete video 'River of Life'"